Get ready Tampa Bay, there’s another craft brewery coming your way. Motorworks Brewing received approval to open a craft brewery in Bradenton, Fla., that will feature a taproom, outdoor patio, beer garden and live music, reported The Bradenton Times. 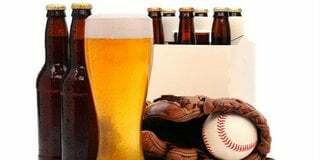 The owners Frank and Denise Techida plan to build the new brewery in an old two-story brick building, in a neighborhood that’s just a baseball toss from McKechnie Field — spring training home of the Pittsburgh Pirates. Motorworks Brewing plans to offer a taproom, outdoor patio, beer garden and live music, all a baseball’s throw from McKechnie Field — spring training home of the Pittsburgh Pirates. Several Bradenton City Council members did have a couple lingering questions, including if the brewery was planning to offer transportation to the brewery from the parking garage two blocks away. But most of the council was in favor of the new brewery, which plans to add 30 new jobs to the area over the course of the next several years. No one present at the meeting spoke against the brewery approval. For the full story, head on over to The Bradenton Times article.